Kansas City loves to share their pride for the Royals. 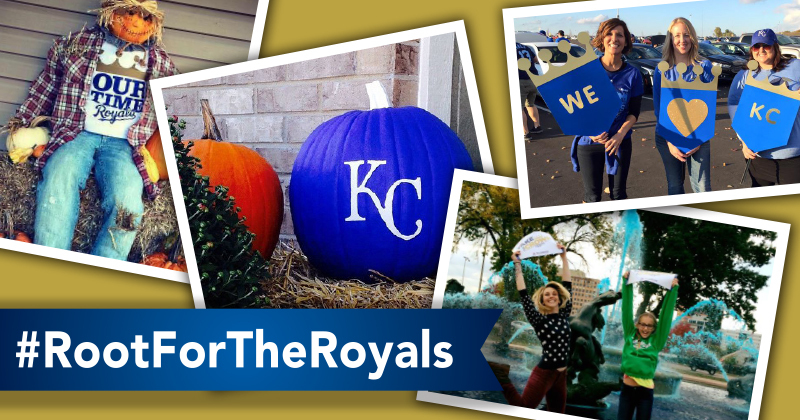 Check out how fans are using the hashtag #RootForTheRoyals to cheer on the Boy in Blue in the Fall Classic! Want to join in? There's still time to enter our #RootForTheRoyals Contest throughout the World Series! Note: entries below are from Instagram and Twitter only. Facebook entries are still counted and can be seen on our #RootForTheRoyals Event Page.